This episode of Counting The Beat is a catch up on some recent releases - from dance punk to country folk and a live release from some old favourites. NZ seems to be undergoing a dance-punk revolution at the moment. The latest salvo comes from Wellington band Thought Creature who have a real knack with a bass-line, topped with post-punk surf guitar and vocals that are more yelped than sung. 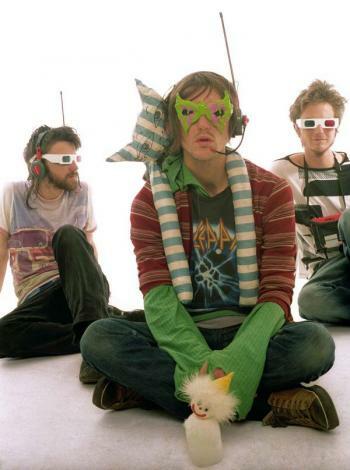 The band have been around for a while, releasing a self-titled four track EP in 2005 (available through Powertool records) but they've now released an album, Teleport Palace, that, along with a great live show are gaining them more of the attention they deserve. Another band that deserve more attention are The Ribbon. They use guitar and sysnthesizers to create songs that build from minimalism to the dance floor. They have two songs available for download on their myspace page that are really growing on me. What I recommend is that you listen to the music of The Ribbon as the soundtrack for the online artwork of one half of the duo, Luke Munn. 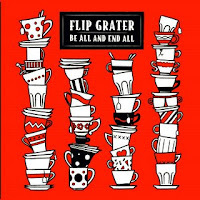 Flip Grater has just released her second album, The Be All and End All. Flip's debut album Cage For A Song showed both the quiet and aggresive sides of her songwriting, ranging from quiet country to P.J.Harvey like rockers. While she is talented at both it resulted in an album that seemed disjointed. This release is far more cohesive, both in flow and in the way Flip has resolved the different elements of her songwriting. Her voice and acoustic guitar still lend the music a country / folk feel with a couple of numbers getting more edge, although more in a brooding than rocking way. She also avoids solo girl-with-a-guitar cliches with a subtle yet strong full band backing her symapathetically on many of the tracks. You'll find the video for the first single from this album on the video page. One of the most striking releases of the year to date is Tells You To Fight, the debut album from Renee-Louise Carafice. The album's an autobiographical song cycle detailing her hospitalisation for mental illness, so obviously this isn't an album of cheery pop hits. In fact, Carafice is incredibly open and it can sometimes feel voyeuristic listening in on her account in songs like 'The Girl Saint Sufferer' or 'Song For A Cruel German Psychiatrist Woman'. After winning a $25,000 Big Break cash prize Carafice spent time living in Chicago and worked on this album there. The album was recorded at Steve Albini’s legendary analog recording studio “Electrical Audio” in Chicago, USA. It was engineered by Nick Abbott (engineer of Crowded House, Goldenhorse, Pluto), produced by Ben King (Goldenhorse) and mastered at Skye Mastering in Scotland (Talk Talk, Madness). The result is stunning in every way, from Carafice's love-it-or-hate-it vocal delivery, the album art-work and the songs. You can purchase the album direct from Monkey Records. There are videos of one of her songs and an interview on the video page. Finally, New Zealand music icons The Clean have just released a live album, Mashed, recorded on their 2007 NZ tour. As you would expect, it's excellent. Despite being around for 27 odd years The Clean still put on a great live show. To hear what they were like back in the day check out this live recording from 1981.